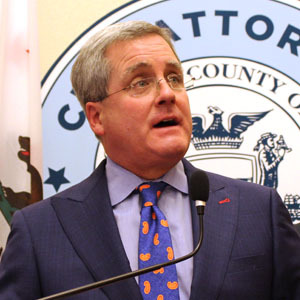 SAN FRANCISCO (May 23, 2018) — City Attorney Dennis Herrera announced today that San Francisco, a coalition of local governments and the Public Rights Project have filed an amici curiae brief, or friend-of-the-court brief, in support of the City of Santa Monica’s short-term rental law. Online vacation rental giants Airbnb and HomeAway, which also operates VRBO.com, have sued Santa Monica in federal court in a bid to invalidate the city’s common-sense law that protects its housing supply from being turned into hotels. The companies argue that their behavior is immune from regulation simply because they do business online. The case is currently before the Ninth Circuit Court of Appeals in San Francisco. The brief was filed by the City and County of San Francisco, District of Columbia, Mayor and City Council of Baltimore, City of Columbus, City of Oakland, City of Seattle, and the Public Rights Project. The case is HomeAway, Inc., and Airbnb, Inc. v. City of Santa Monica, U.S. Court of Appeals for the Ninth Circuit, Case No. 18-55367.